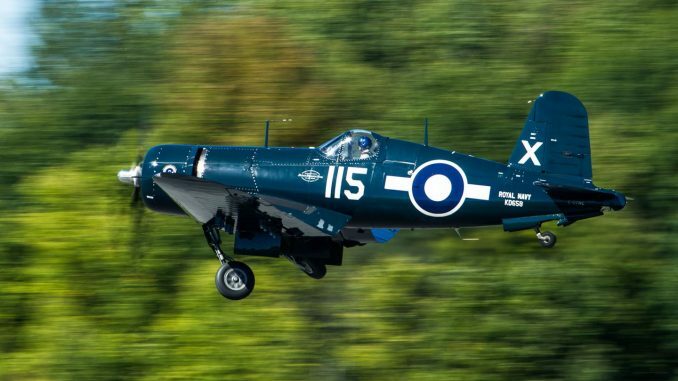 With the ever-advancing valuations for WWII-era fighter planes in the current civilian market, it is becoming harder and harder for a pilot of relatively modest means to own and fly a high performance vintage military aircraft from that era. 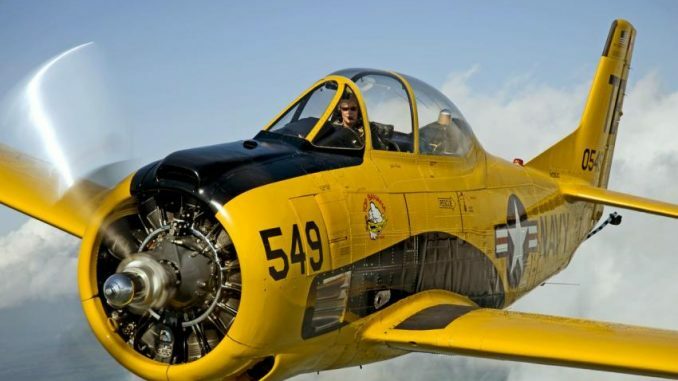 However, for those willing to substitute the cachet of a fighter with a post-WWII trainer born of thoroughbred heritage, like the North American T-28 Trojan, then the world is your oyster. The T-28 comes from the same stable as the P-51 Mustang, and has fighter-like qualities, with a powerful engine up front and 300+ mph top speed as well as exceptional maneuverability. 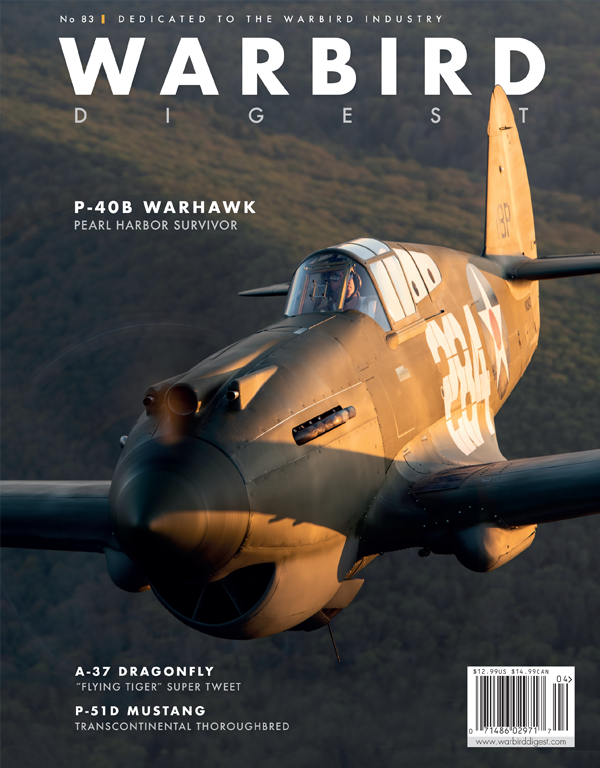 As our sponsor, Courtesy Aircraft Sales explains… It looks, sounds, and performs comparably to a WWII fighter at a fraction of the cost. 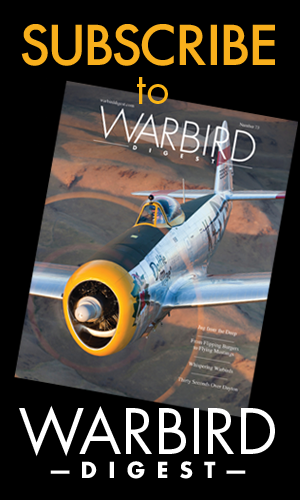 With its two roomy cockpits, tricycle landing gear, huge flaps, and superb flying characteristics, general aviation pilots can readily learn how to operate this aircraft [and without the enormous expenses typically associated with a WWII fighter]. In addition, maintenance and parts availability remains reasonable with plenty of technical support available. There are several hundred T-28s currently flying world-wide, and a good number of these are available on the market at any given time. For less than 10% of what it costs to acquire a P-51 Mustang, you can find yourself flying in one of the most exciting and forgiving high-performance piston-engined aircraft available anywhere. Maintenance, operating and insurance costs are similarly minimal in comparison to the Mustang and other fighter-types as well. 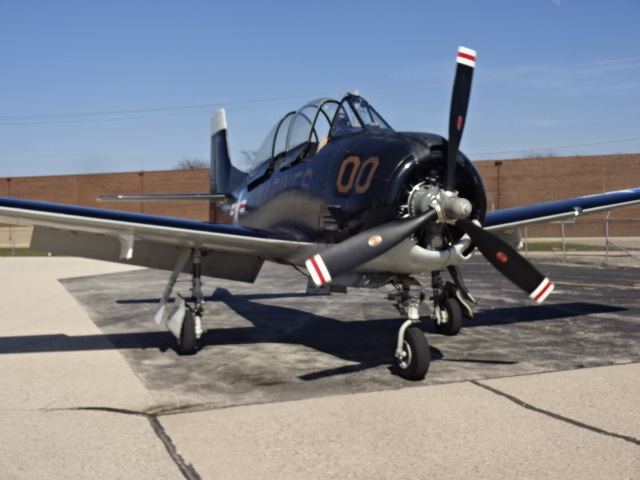 During and immediately following WWII, the Air Force tapped into the vast knowledge of NAA for the purpose of developing the next generation, high performance, advanced trainer to serve as a successor to the NAA T-6/SNJ Texan. The result was the T-28 Trojan series and the “A” was the first model. 1,194 “A” models were built with the Wright R-1300, 800 hp engine, and the Aero Product 2-blade propeller. 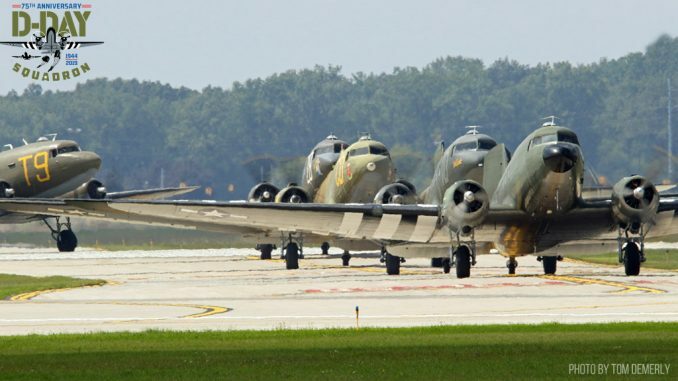 The Air Force used these aircraft for training and various other roles from 1950 to 1956. 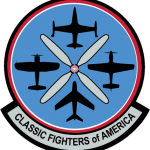 The “A” model also replaced the Mustang fighters in the reserve units until 1959. In 1952, the Navy was impressed enough with the rugged Trojan that it contracted with NAA to build an improved version. The improved version was the T-28B. 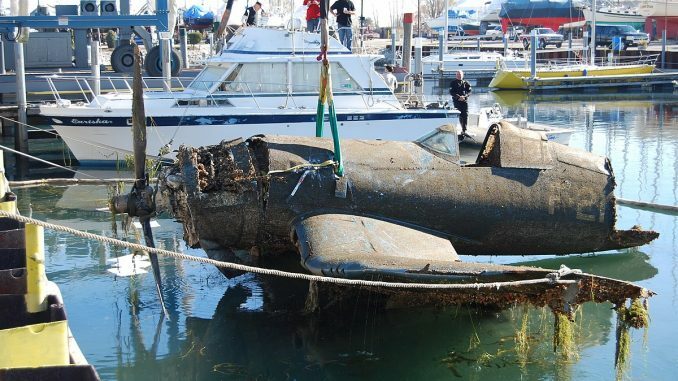 The “B” came equipped with the mighty Wright Cyclone R-1820, 1425 hp engine, Hamilton Standard 3-blade propeller, belly mounted speed brake, and many other changes and improvements. 489 “B” models were built and used from the middle 50’s to the middle 80’s. 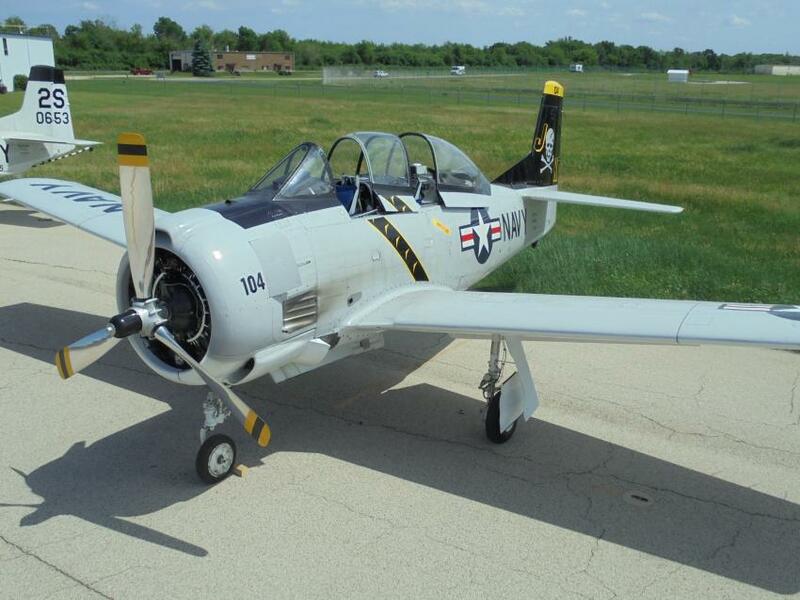 In addition to the “B” model, the T-28C was built for the Navy starting in 1955. The T-28C is equipped with a tail hook, a smaller diameter propeller, and other minor changes to allow aircraft carrier landings. 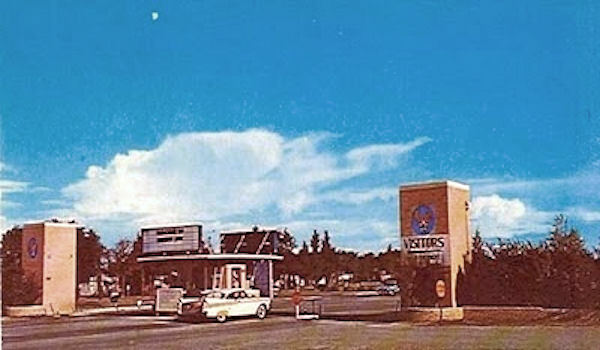 299 “C” models were manufactured with production ending in 1957. In 1959, several hundred surplus “A” models were shipped to France and were modified with the R-1820 engine, structural improvements, and armament for combat use, by Sud Aviation for the French Air Force. These aircraft are commonly referred as FENNEC, T-28S (Sud), or T-28F. After success in combat in Algeria in the early sixties, they continued to serve France and several other countries for many years. 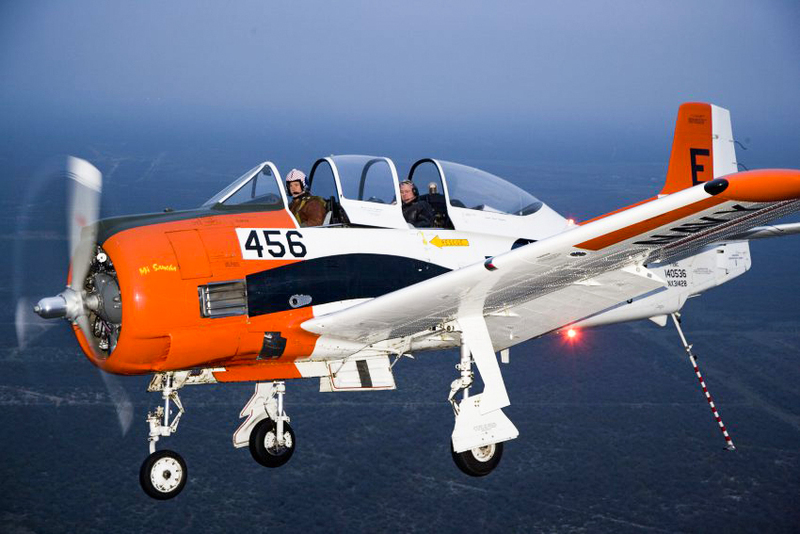 Similar to the FENNEC but converted by various contractors in the U.S., the T- 28D-5 also started as a surplus “A” model. Almost 250 “D” models were supplied to U.S. and other forces fighting in Southeast Asia. Additionally, “B” & “C” models, known as the T-28D-10, were also modified and used in combat. The “A” model has a normal cruise speed of 180 mph at 35 gph, and has a 125 gallon fuel capacity. The big engine T-28’s normally cruise at 235 mph at 50 gph, and carry 177 gallons of fuel for a 3-hour range with VFR day reserves. 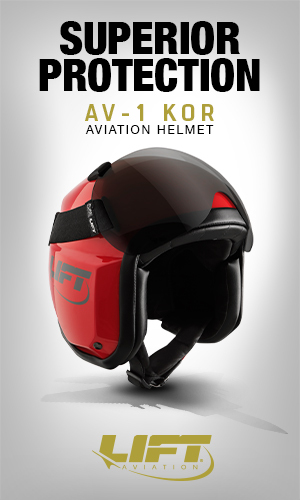 With the R-1820 engine, take off run is around 800 ft. with a rate of climb over 3000 FPM! Most of the market demand is for the big engine versions; however, a well equipped “A” model in good condition can be a good buy. Be careful if the price starts approaching that of a big engine Trojan. As most T-28’s have been flying civilian since the middle 80’s, they have had a chance to be brought up to a reasonable level of condition. 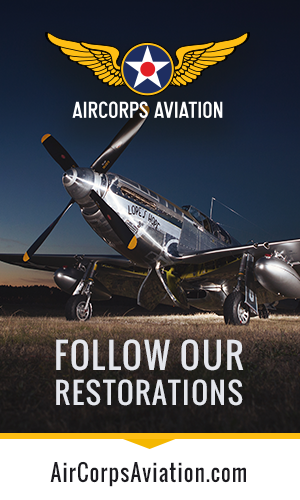 Condition ranges from stock basic Trojans to lavish restorations, loaded with avionics & civilian modifications such as preoilers, clean kits, Cleveland wheel & brake conversions, and many more. Price will vary widely depending on a combination of these factors. All Trojans were designed and built to be long lasting and mechanic friendly. Over a 40 year time period, aircraft total time can be well over 15,000 flight hours; however, airframes suffer no problems with wear or fatigue. In fact, an NAA study for the U.S. Navy placed an arbitrary airframe time limit of 37,500 hours! 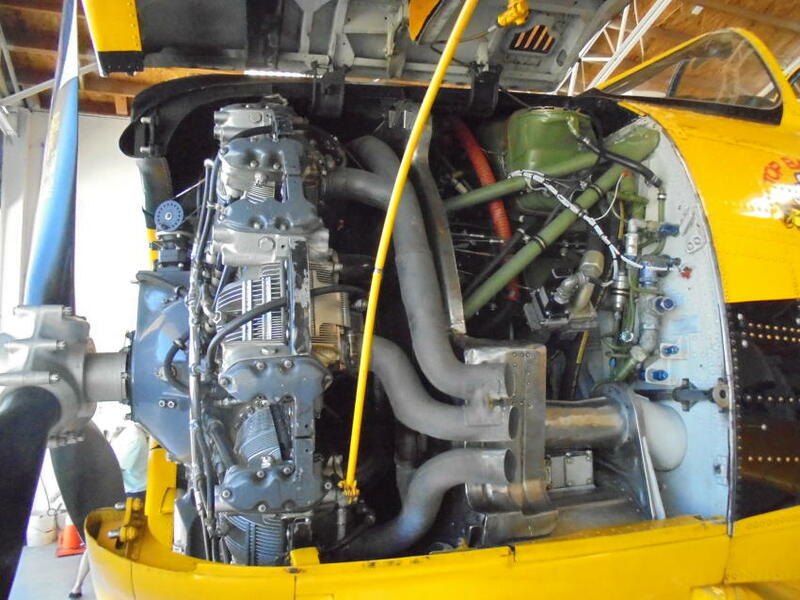 The only scheduled maintenance required for the T-28, other than oil changes, is an annual condition inspection. A recent survey of maintenance facilities found that the range of flat rate labor for the annual runs 50-60 hours. This assumes a reasonably well maintained aircraft that has already been through several civilian annuals (as is the case for most T-28’s). 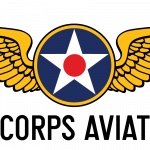 As this is a U.S. designed, built, and operated aircraft, any well equipped local shop can maintain these aircraft by using a combination of available manuals and technical advice from a variety of sources. 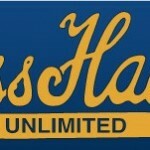 Insurance remains reasonable with a liability policy around $1,000 per year and hull coverage adding about 2% per year of the hull value. Several underwriters are aggressively offering coverage as the safety and claims records are outstanding. Almost all T-28’s are FAA licensed Experimental-Exhibition category, which allows for proficiency flying and air events. All non-air event flights are considered proficiency flights, and the only restriction is use for compensation or hire is not allowed. In addition, an FAA T-28 “type rating” is required with the prerequisite of a private pilot’s license, and a minimum of 500 flight hours. 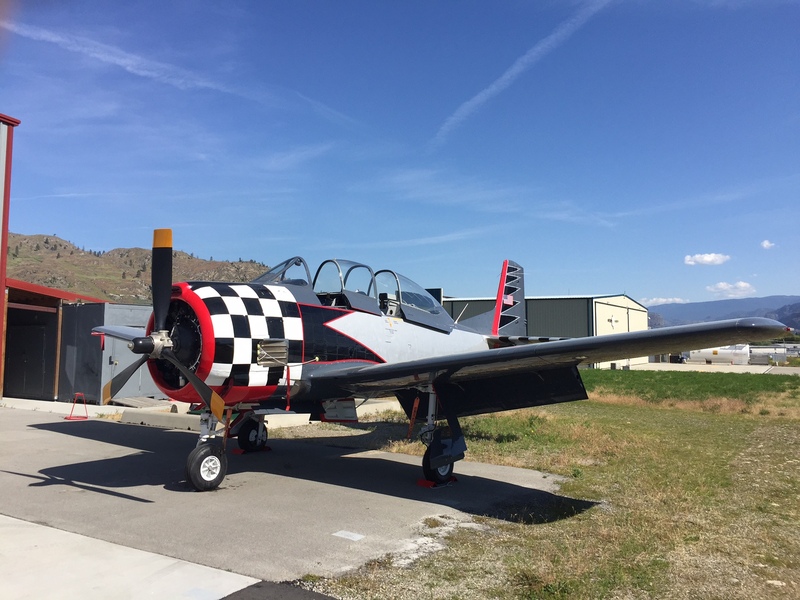 All ground and flight instruction for the issuance of the T-28 rating is performed at our facility with average check out times of 6 – 10 hours over a 2-3 day period. Courtesy Aircraft can also arrange an examiner for the check ride. 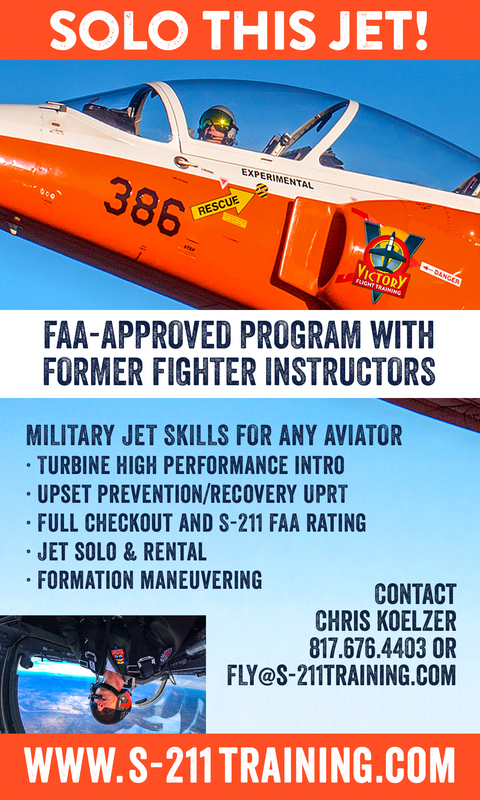 The T-28 rating is permanent and is listed on the pilot certificate. 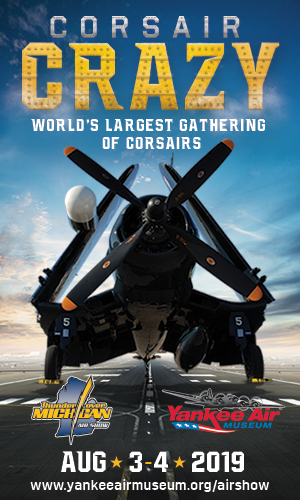 WarbirdsNews is proud to have Courtesy Aircraft as a sponsor. 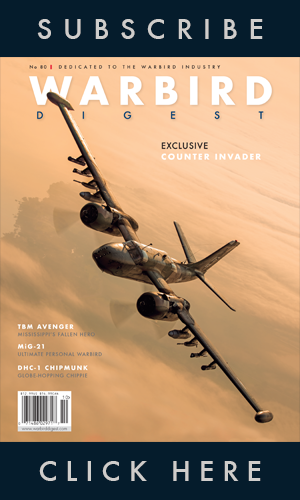 As most readers will know, Courtesy Aircraft has been in operation for decades, and has a well-earned reputation for excellence in the field of aircraft sales. 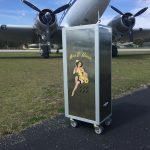 To see some of the warbirds and other types that they currently have for sale, be sure to check the following link.